Indeterminate repetition of past practice...singularly rooted in leadership’s notion ‘that’s the way it’s always been done’, apparently absent curiosity or consideration of various structural changes that have occurred in the interim, sometimes as mandates, have, in a growing number of instances, wisely given way to the nuances of change. Similarly, change and varying levels or periods of sometimes purposeful disruption… have become routine characteristics to many work environments. if there are structural assurances in place for individuals and/or business units, etc., which have the ability to use – apply that information effectively, actually get it. sharing the right information (knowledge) with the right individuals, at the right time, and, in the right context = power! Doing this, of course, has the look and feel of 1980’s ‘knowledge management’, right? Too, if – when organizations commence formally sharing information and knowledge internally, in this manner…it can serve as a prelude to, in many instances, a necessary organizational revolution in terms of how proprietary information is safeguarded and ultimately disseminated and shared. the speed which effective action can be taken – applied, as a product of knowing. recognizing what information individuals – business units are not receiving, but should be shared in the appropriate manner. For me and others engaged in the business intangible asset arena…the above, can collectively be recognized as a new paradigm for safeguarding proprietary information during its (a.) acquisition, (b.) development, (c.) application, and (d.) sharing with others. recognizing the challenges and adversaries. knowing what specific information should – needs to be safeguarded. reduce, if not eliminate conventional information silos which frequently have been erected around dated presumptions of ‘need to know’, as if ‘secrecy’ was somehow innate. Readers are obliged to consider though…how many organizations actually function-operate as if their information – knowledge – know how based (intangible) assets are, or, should be proprietary? In today’s go fast, go hard, go global, and aggressively predatorial business operating climate…organizations, and their leadership, are obliged to position their intake, development, and application of information, knowledge, and know how to ensure it is disseminated – shared with individuals and business units which can process – utilize the information effectively and proprietarily. More specifically, business leadership are obliged, now, more than ever before, to move away from…the conventional silos of ‘who needs to know and why’ as a basis for safeguarding proprietary information. Instead, consider the keystroke speed operating cultures…in which it is recognized that prudent knowledge management and sharing are not mutually exclusive, i.e., who isn’t being informed, but probably should be? Obviously, I am not making reference to an ‘open source’ environment. Rather, endeavor to create an organizational culture which ‘situational awareness’ is a key feature insofar as the application of proprietary intellectual, structural, and relationship capital. individuals who may leak proprietary information. is to be the preferred position to keeping vital business information out of individual – business domains that could use it best. As this evolves, it will render many conventional (business) instincts – practices…regarding information asset protection, classification, and dissemination out-of-step and probably at competitive disadvantage with business key stroke speed operating environments. Similarly, organization’s that (still) consider adoption of…new strategies, processes, new techniques, especially those relative to structural, relationship, and intellectual, capital as being non-collaborative and non-contributory, will likely find business success and sustainability elusive. NOTE – This post was influenced by a TED Talk given by Gen. Stanley McChrystal in March, 2014 and adapted for application to the private sector by Michael D. Moberly. Michael D. Moberly April 12, 2019 St. Louis m.moberly@kpstrat.com, the ‘Business Intangible Asset Blog’ since May 2006, 650+ blog posts published, read in 137+ countries, ‘where one’s attention span, intangible assets, and solutions converge’! As always, readers comments are most welcome! 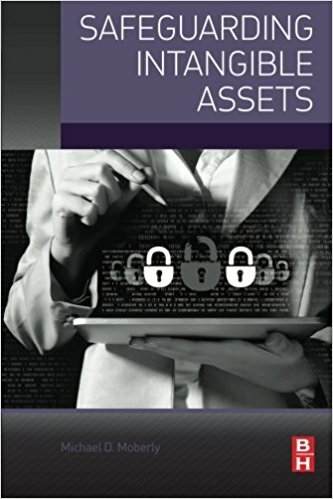 Protecting Intangible Assets The New Rules of Engagement!